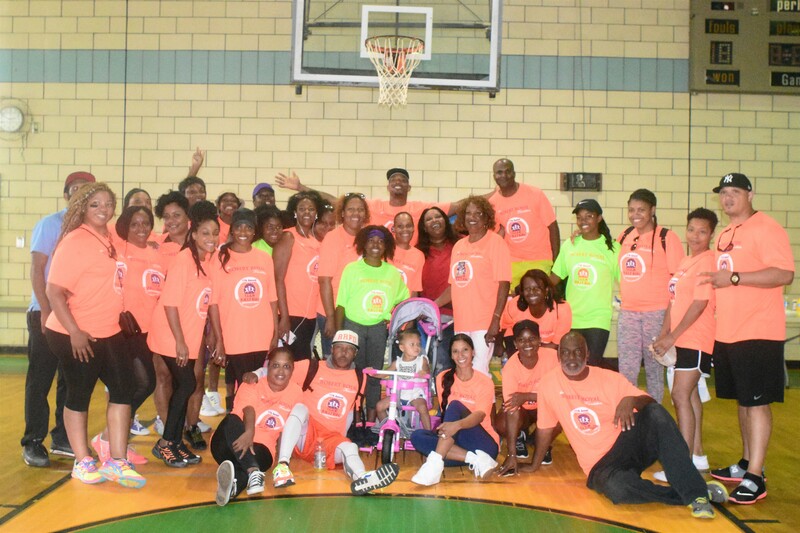 THE ROBERT ROYAL FOUNDATION is a non-profit 501(c)(3) organization dedicated to help raise awareness and tackle childhood obesity by promoting education, fitness and overall health in schools and communities. The foundation is also committed to empower the youth of New Orleans in how to deal with social and cultural issues within their community such as youth violence and gun prevention. We strive to provide children with the educational tools enabling them to grow into productive adults and reach their future success, bridging the gap between having a dream and achieving it through strength, courage and determination. Our goal is to increase active participation in health and fitness, sports, and education, to help reduce and eliminate childhood obesity. The Robert Royal Foundation also offers life enrichment programs dedicated to developing the youth in how to deal with social and cultural issues within the community. As an organization we have set key objectives to help reduce the financial burden facing many of the youth today as they progress within their chosen sports and educational goals. The inspiration that NFL athletes bring to young people and local communities in the New Orleans area is fantastic and we want to support and grow their positive influence. 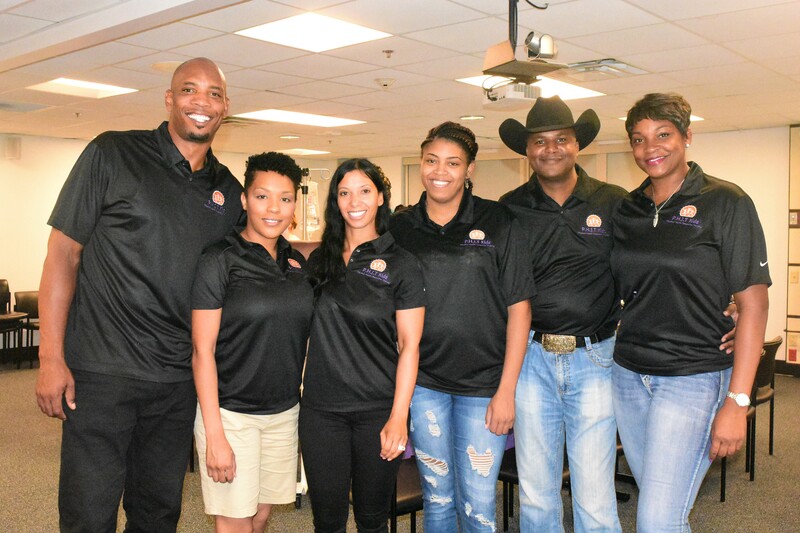 The foundation tackles the barriers of sports, overall health, education, and youth violence prevention to rural and remote communities in greater New Orleans area, and to provide opportunities for ongoing professional development. THE ROBERT ROYAL FOUNDATION provides programs, activities, and services that continue to help under privilege kids in New Orleans reach their ultimate goals. We would like to provide at risk youth with resources to learn to distinguish between healthy and unhealthy choices. Our Football program is specifically designed for the truly dedicated athlete. The program involves intense conditioning activities that test a player’s mental and physical toughness. In addition, the program offers sound instruction on the fundamentals of the game that allow players to build on their natural skills Our tutoring and counseling activities are both held in groups and personal sessions. We are also striving to continue building up our Community Outreach Program reducing isolation and providing positive role models parental interaction skills and crisis intervention will be the primary tools used to achieve success in their lives. Jobs skills training program provides specific job skills training in home repair and renovation, including carpentry, flooring, basic electrical and plumbing, through practical work experience. Trainees begin the program with basic skills and safety training, and then under the guidance of qualified staff, have opportunities to learn on the job through work contracts with local homeowners. Training is also provided in client relations and life issues. Trainees who prove capable and reliable will be encouraged and assisted in obtaining full time employment with another company, or to start their own contracting business, or they may continue working under our supervision. We realize the strong concern in regards to the childhood obesity epidemic. We want to help raise awareness by designing a healthy program that will not only provide the children with the knowledge of proper nutrition but also teach them the importance of staying physically active by providing fun interactive activities. Our program will help create a healthier more educated community by encouraging physical activity, proper nutrition and creating a positive spiritual and mental strength amongst our children and families. Having a healthier start in life will help to ensure our children to achieve great success. Our T.E.A.M Football program is specifically designed for the truly dedicated athlete. The program involves intense conditioning activities that test a player’s mental and physical skills. In addition, the program offers sound instruction on the fundamentals of the game that allow players to build on their natural skills and offers life lessons outside of athletics. The T.E.A.M Cheer camp is an energetic program that is packed with tons of fun activities for young women. The program teaches cheerleading and dance, which helps promote physical activity, in addition to teaching camaraderie and team unity. The Robert Royal Foundation & Santana Dotson Foundation host an “Annual Holiday Gift Drive” in Houston, TX during the month of December to help raise monetary donations and gifts for kids. The support from our donors will help many less fortunate children and deserving families enjoy a little Christmas. Donors are able to drive through and drop off donations as well as stop in local stores to purchase items. In support of the community efforts, both Radio One stations KBXX 97.9, and KMJQ 102.1 help raise awareness to their listeners providing details for the event, taking calls and providing additional details to those that would like to donate. With our dedication to philanthropic efforts, we support the Children's Hospital by providing gifts such as toys, books, supplies and other fun items that the children and young adults will enjoy. During our visit, we are sure to engage in fun activities like arts and crafts, jewelry making, playing games like Bingo, face painting, bedside visits and signing autographs. There is no better feeling than to help bring joy and seeing happy faces to those patients and families that are experiencing trying times. The mission for this program is to help improve education and youth development teaching our children how to cope with social and cultural issues they face within their community. Our children will experience true results that will empower them to move forward, helping make better choices with everything they do in life. Our education and mentoring activities are held both in a group setting along with individual sessions. Our youth will receive homework assistance, life skills development, along with self-esteem and confidence development. The mission of the gun and youth violence program is to dramatically reduce gun-related violence, through professional training and through providing life skills to the children of New Orleans. With so many young people falling victim to guns, and now gangs, it’s important to take preventative measures and provide training and guidance in how to deal with the pressures and avoid delinquent behavior. Our youth violence program will provide training seminars in classroom setting dealing with gun crime and youth violence along with gang prevention. The program is designed to provide assistance to financially challenged, yet deserving inner city high school students. Recipients will receive assistance with financial aid and college selection, how to workshops that tutor the student in completing a college application, training with being a successful student, goal setting, interpersonal skills and the importance of personal integrity. The recipients are required to have a minimum 2.8 GPA, submit an essay and volunteer time to a non-profit organization and or neighborhood improvement project. This teaches the recipient the importance of “giving back” and assisting others in need. Scholarships and Grants will be awarded for either of the following: books, tuition, fees, travel to/from school along with room and board. Download the forms here. Fill out the forms and return via email to info@robertroyal.org. You can also fill out the form online below. We are available events and public speaking engagements. Please submit a request from the form below. Donate in your name or your organization’s name to support our efforts. Your gift may be 100% deductible from your taxable income if you itemize your deductions.